Blend of 35% Syrah, 25% Grenache, 20% Mourvedre, 10% Merlot and 10% Petite Sirah. 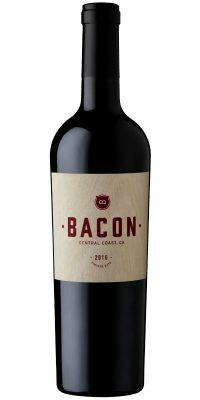 Made in the same style as winemaker Joey Tensley’s rich, bold syrahs, BACON is bursting with luscious berry flavors and a mouth-watering finish. Award-winning winemakers Joey Tensley and Alex Guarachi are proud to bring you this enticing and inviting Syrah and Grenache based red blend from the Central Coast of California. Warm red tones wrap around bold, rich, and juicy flavors with a mouthwatering finish and are an excellent complement to any meal. Afterall…Bacon goes with everything!